Need to park three vehicles in a spot previously dedicated to one? Tripark from LevantaPark is the answer. Though it’s part of our ‘double stackers’ range, it’s more appropriate to call Tripark a ‘parking multiplier’ thanks to its ability to triple your available space. 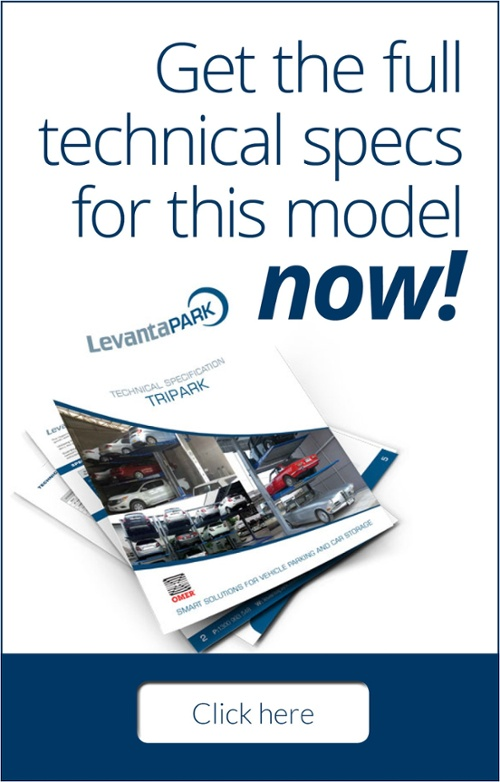 The versatile Tripark system is compact, easy to install, and can lift vehicles weighing up to 2.5 tonnes on each platform. 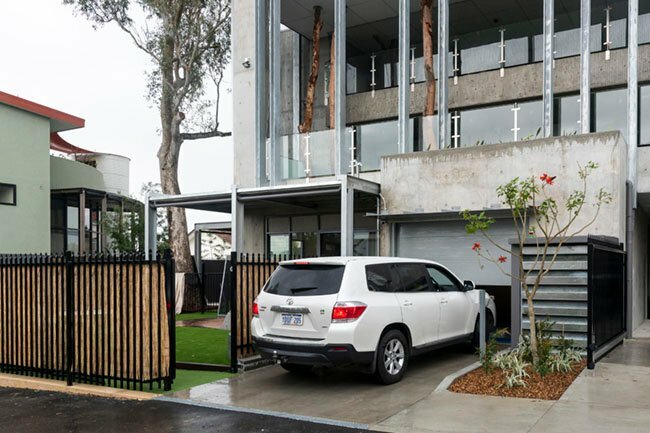 The Tripark system can quickly and effectively park up to three cars in a space that previously held only one. And with a load-bearing capacity of up to 2.5 tonnes, the individual platforms can handle any vehicle currently on the market. 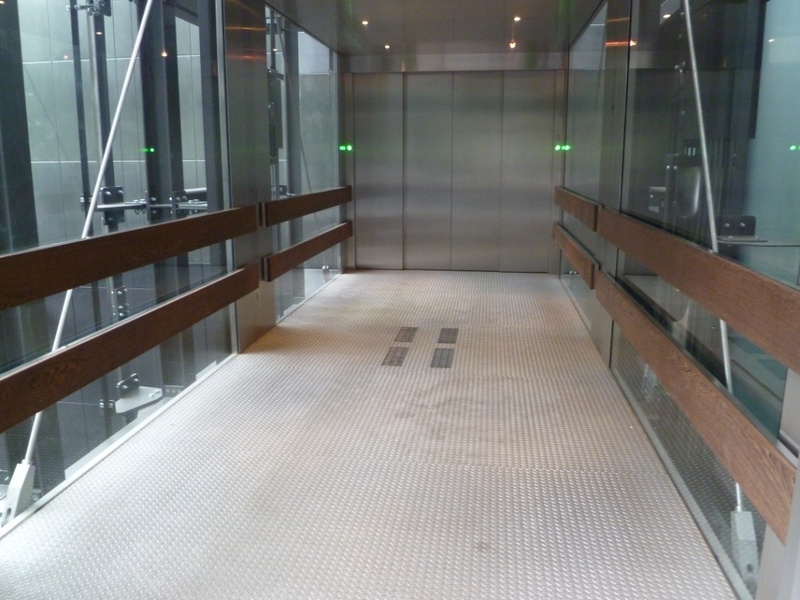 Tripark’s “package system” – the sequence by which the lower platform picks up the top platform – highlights just how compact the lift is, even during movement. Tripark’s operating sequence has been designed to ensure the utmost safety. The only way to release the upper platform and lower the last vehicle to ground level is to remove the underlying vehicles, then raise the first platform until it engages the second, higher one. The vehicle is then driven off the upper platform via the supplied ramp, which is integral with the upper platform. The entire operation is very easy. The push button control panel can be positioned on either of the two columns, or in another position, to meet your individual requirements and offer you the greatest flexibility. The torsion bar system has two racks (one per column), two notched pinions (one on each end) and the torsion bar itself. This system ensures horizontal stability of the platforms, even when the weight is off-centre. The system distributes the vehicle’s weight evenly on the columns and pistons, thus preventing uneven exertion on the machine. The position of the pinion vs. the rack can be adjusted by shifting the torsion bar support. Tripark uses a system of photocells to monitor the positioning of vehicles on the platforms. A ‘barrier’ is formed by a light emitting source with a reflector set on the opposite side. When this barrier is interrupted, the Tripark platform stops immediately. This system significantly enhances product safety and prevents damage between platforms when vehicles are on-board.